DIT University, Dehradun in a short span of two decades has established itself as a Premier University engaged in Education, Research and Innovation in the areas of Science, Engineering, Management, Pharmacy, Architecture and Technology. It has curved out a niche position in Quality Technical Education through Innovative and Creative approaches and has established its presence in pan-India scenario. With strong root and legacy of two decades of quality education, DIT University is in an unique position, to take the challenges of this millennium through Experienced Faculties, Modern Infrastructure with well-equipped Laboratories, Centers of Excellence and collaboration with other leading institutions/organization from India and abroad. Facing the challenges of modern world through innovative ideas in an interdisciplinary approach to help our society and mankind in larger perspective and individual in a focused perspective, is the strength of DIT University. We allow you to Imagine and Aspire to Achieve your Goal of Life. I welcome you all to DIT University to fulfil your cherished dream and wish you very best for a successful life ahead. An engineering professional with nearly three decades of rich professional experience in areas of Research & Development, Technology Development, Engineering Consultancy, Teaching and Management. 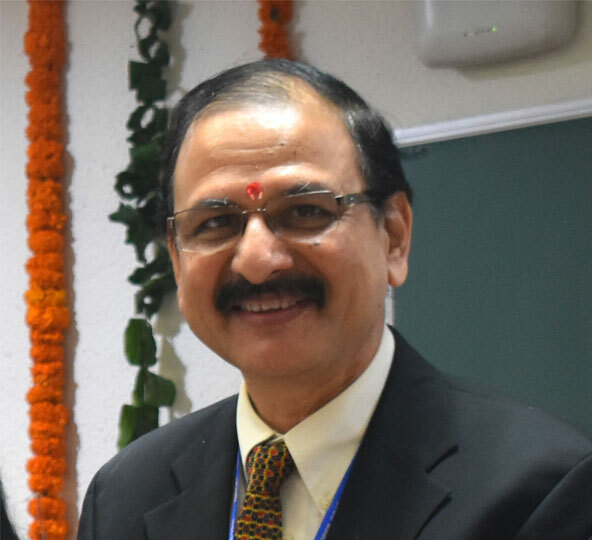 Dr. Dilip K Mahanty earned his Ph.D. from IIT Bombay in Mechanical Engineering and has been associated with some of the Best R & D Centre; Manufacturing, Consultancy and Educational establishments in his career that include BARC, TCS, Ashok Leyland etc. To his credit he led many multi-disciplinary industry projects in engineering design & analysis, failure, technology and product development. He has delivered Invited Talks in National & International Forum related to Engineering Research, Manpower skill development and Technology Development. His contribution towards engineering, research and administration has been recognized with the award of Team Tech International Award.